At the end of this week, 28-30th April 2017, the British Riding Club Winter Intermediate Championships take place at Bury Farm, Bedfordshire. Megan Hay, from Bishops Frome, Herefordshire, rides Hope Valley Colleen, aka “Squirt” at the BRC Winter Championships at Bury Farm having qualified individually for the show jumping when winning a big class of 70 with 3 clears and the quickest jump off time. Megan bought Squirt from Leominster sales even though she stopped at a cross pole! She was totally the opposite of what she was looking for. She’d gone to the sales looking for a 4/5 year old 16.2hh event type and came back with a 14.3hh unschooled 8 year old Irish pony! What a good purchase it turned out to be! After taking half an hour to get near a cross country fence, she has since taken Megan from BE100 all the way to BE Intermediate and FEI2*! They went to Ireland to represent GB at Tattersalls, have jumped up to Newcomers BS, won points at BD Medium, been placed in the top 3 at Blue Chip Championships on numerous occasions and won gold and silver medals at Cricklands. She also plays horseball, shows and hunts! 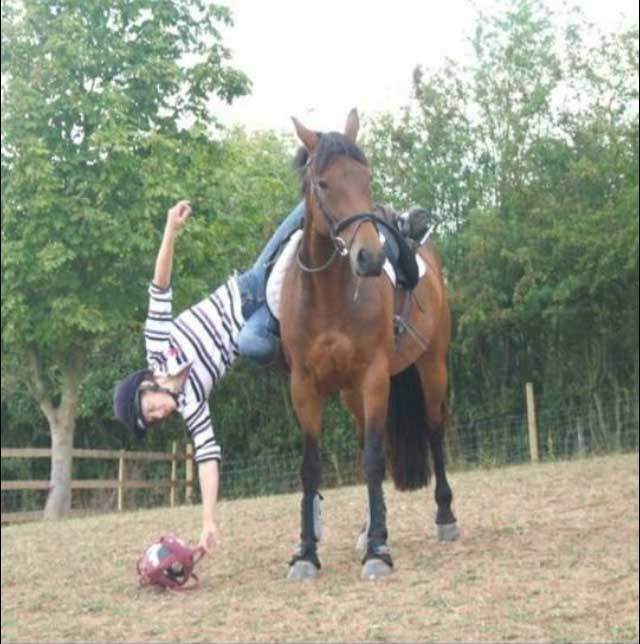 Megan describes her as the quirkiest horse she has ever met, having been badly beaten before Megan owned her. She still won’t tolerate being lunged by anyone except Megan who also says Squirt is one of those horses who doesn’t stand on your foot accidentally, she will look for where it is before putting her hoof right on it! Squirt was retired from BE and FEI eventing in 2014 (apart from one BE run in 2015). Having punched well above her weight for so long, she is now enjoying a quieter life as a play pony! Megan also has a pure TB at home and is hoping to qualify for summer regionals this year. She is taking a break from eventing at the moment as she can simply no longer afford the ever rising costs. She is hoping to qualify Squirt for the BS national amateur Championships having already qualified for 2nd rounds. Megan says a huge thank-you must go to her parents who have always supported her, both emotionally and financially and have tolerated getting up at 4am to go eventing! Big thanks also to her trainer, Gary Morgan, who has not only transformed Megan and her horses but also spends half his time being her therapist as well! And finally she gives a shout out to Topspec, manufacturers of the feed and joint balancer which Megan feeds, and which keep her mare in such amazing condition! Megan is clearly a grafter, for the last 6 years she has been a care assistant for children and adults with autism and learning disabilities and this September, will start a nursing degree! She often works in excess of 45/50 hours a week, simply to try and afford her equine career. Good luck Megan! Alice Livesey, 17 from St Weonards, has qualified Beechfield Diamond aka Mouse for the Elementary level dressage at the Championships. Mouse is an ISH gelding rising 12yrs and Alice has been riding him for 3 years having moved up from a 14.2 pony. 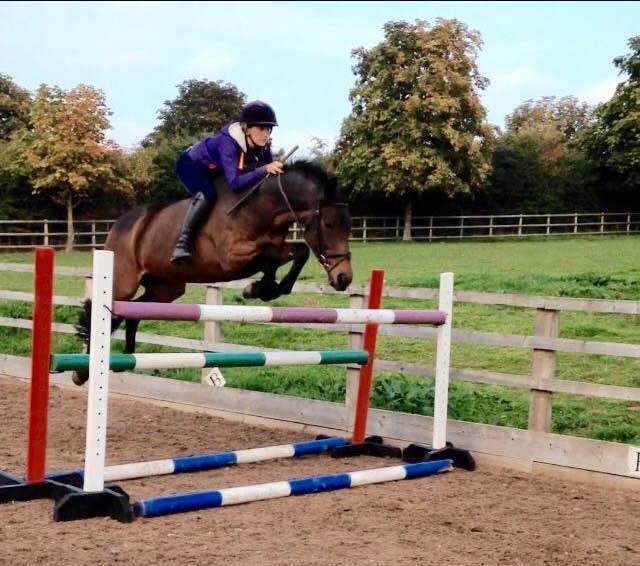 She started out eventing him at 80/85cm and won classes at Solihull and Foxcote. However, Alice then decided to focus purely on dressage as he has good paces and since then she’s qualified for the National Riding Club Championships in Lincoln each year and the Pony Club Open Dressage Championships at Cholmondley Castle for last 2 years representing the Monmouthshire PC. She has also been to the PC Dengie Winter Champs at Addington for last 2 years in the Open class. Alice is currently competing BD at Elementary Silver level, qualifying for the Winter Regionals as well as Petplan. Alice is very grateful to the Hereford and District who she says are a fab Riding Club and she thoroughly enjoys representing the club at team events. She’s looking forward to joining the Senior level next year! Away from riding, Alice is currently undertaking A levels at Monmouth Comprehensive, and is thinking of a career in sport somehow. Good luck Alice! 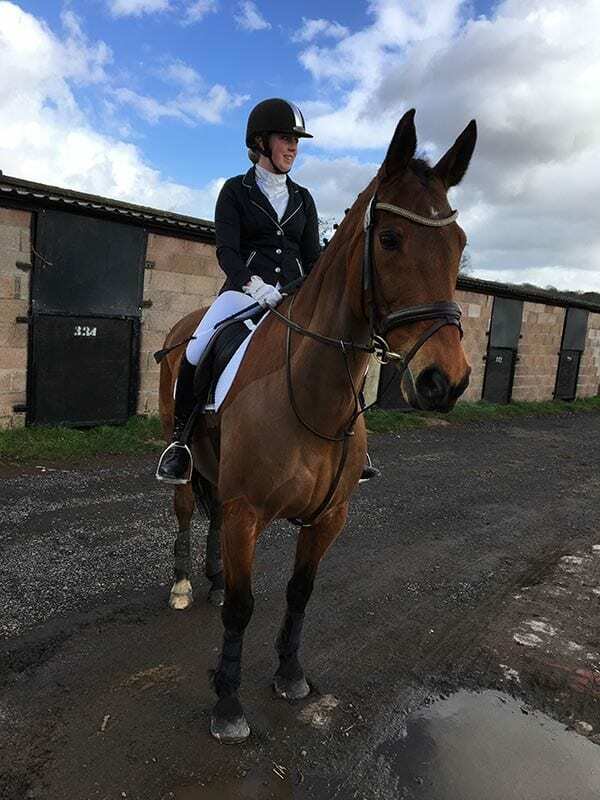 Another Hereford & District Riding Club member to qualify for both the Intermediate RC Championships and the BD Combined Training Championships is Gemma Webster. Gemma won the Riding Club area 15 intermediate winter dressage qualifier held at Kings in February with over 75% in the Novice 34 and in addition, was part of the Hereford & District Riding Club team who won the Intermediate Area 15 show jumping held at Moores Farm, so will also be competing in the team show jumping Championships at Bury Farm. Gemma will be riding Tullibards Bennysdelight, stable name Benny who she bought last November after having him on loan for a year. He had torn his tendon twice previously so Gemma had the opportunity to loan him first to see if the tendon would hold. 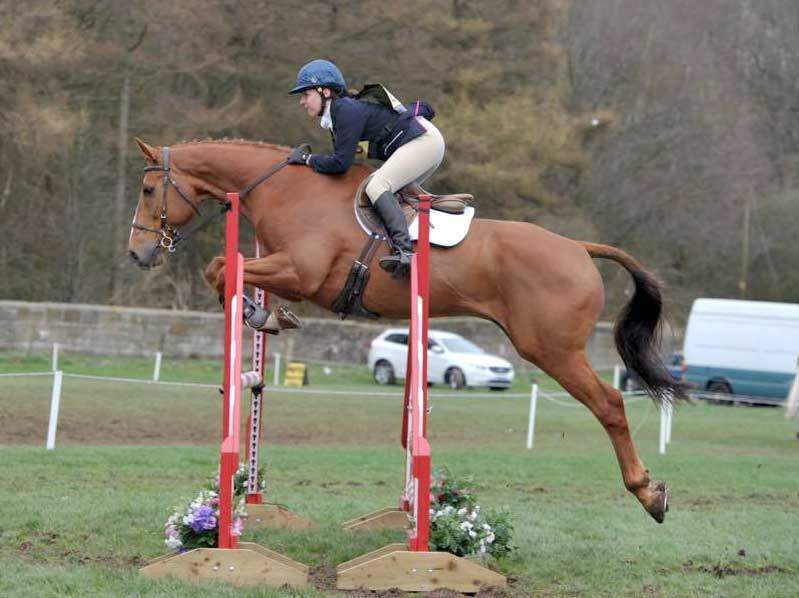 Benny is 16.3hh Warmblood x TB, 10 year old chestnut gelding, by Guidam. He’s a sensitive chap and very spooky and his rider has to earn his trust, but once this has been earned, he tries his heart out. He was very tense in the dressage when Gemma first got him, usually trying to canter the whole test, but has now learnt to settle. 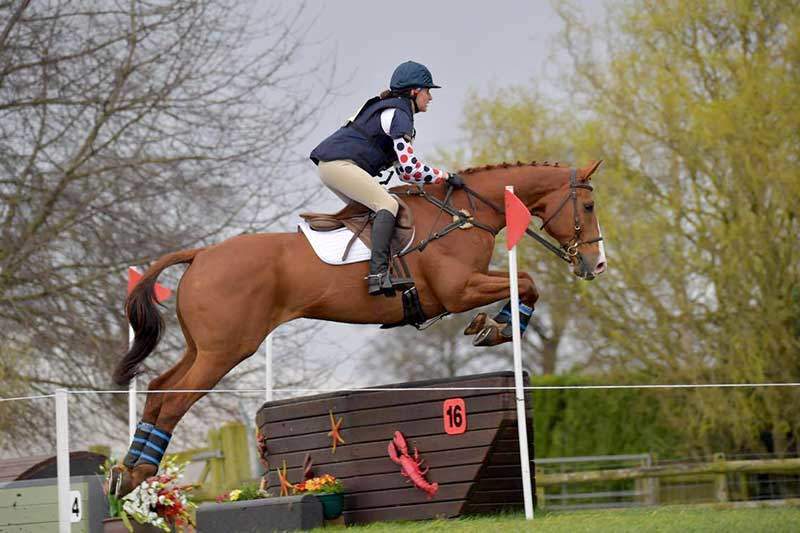 During their first year together, they were part of the winning Hereford and District Riding Club team at the Riding Club Festival of the Horse National Championships at 100cm level and were placed 6th Individually at the Riding Club Horse trials three day National Champs. 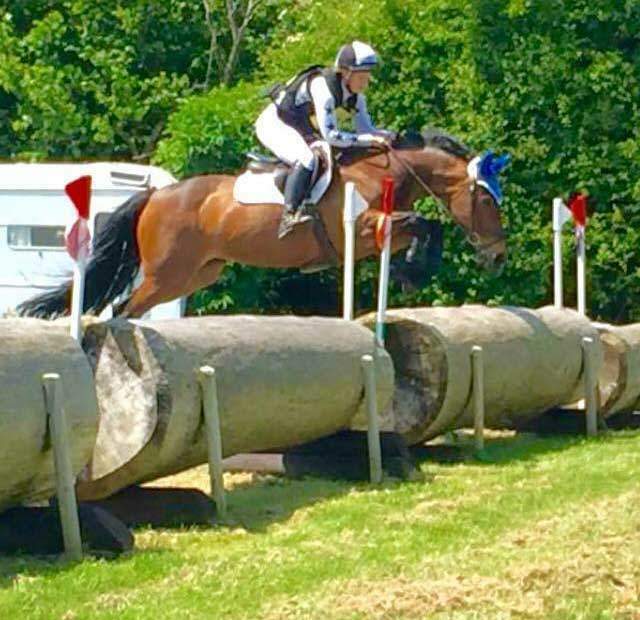 In addition they were 2nd at Llanymynech, 10th at Broadway and 12th at Somerford BE events at 100cm and 100 plus, Benny then took Gemma round her first novice at Upton house and Aston Le Walls. 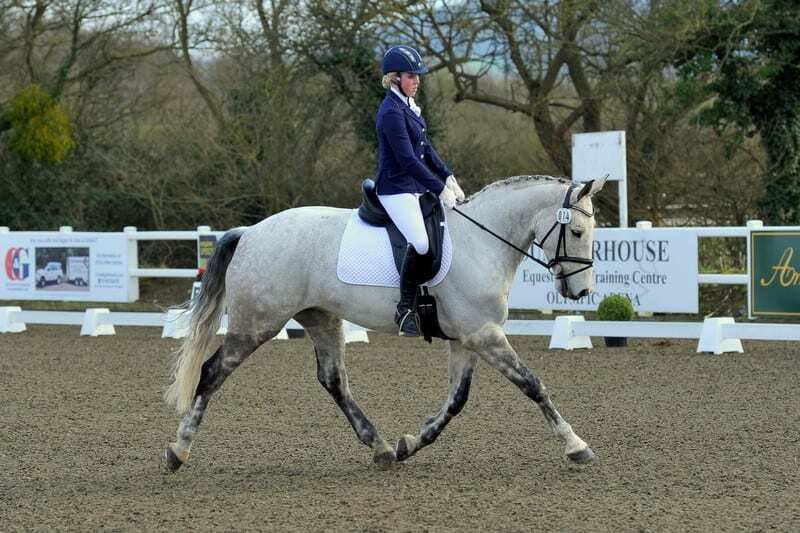 In May, Gemma and Benny will compete at the BD combined training championships at novice 34/100cm level having won their qualifier with an excellent dressage score of 82.8% at Cricklands, Chepstow. The championships are held at Wellington Riding Centre in Hampshire. Once the Championships are over, the plan is to try and qualify for the BD Petplan Area Championships at elementary level and the BD regional championships at novice level. Gemma currently trains with Helena Charlesworth for flat work and Karen Nicholas for jumping, as well as utilising other trainers that the Hereford and District Riding Club offer as part of the training available. Gemma says she also owes a lot to her friend Louise Devlin who gives up her time to help out as unpaid groom at most of their events! Good luck Gemma!